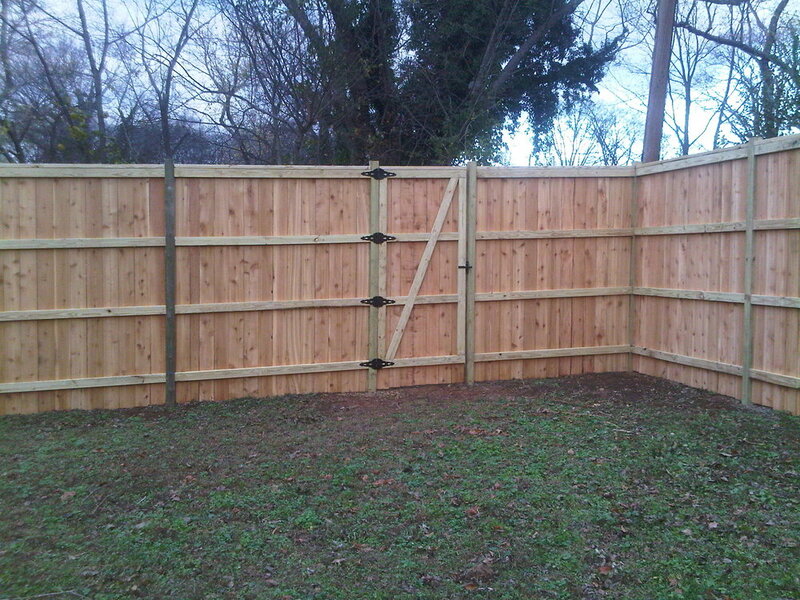 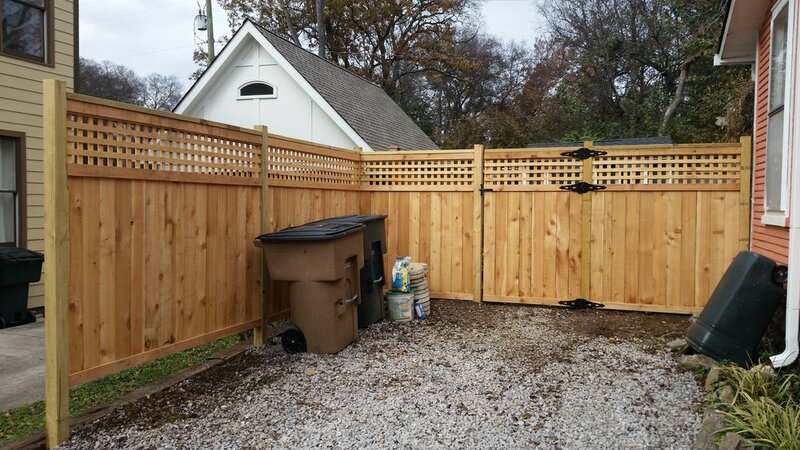 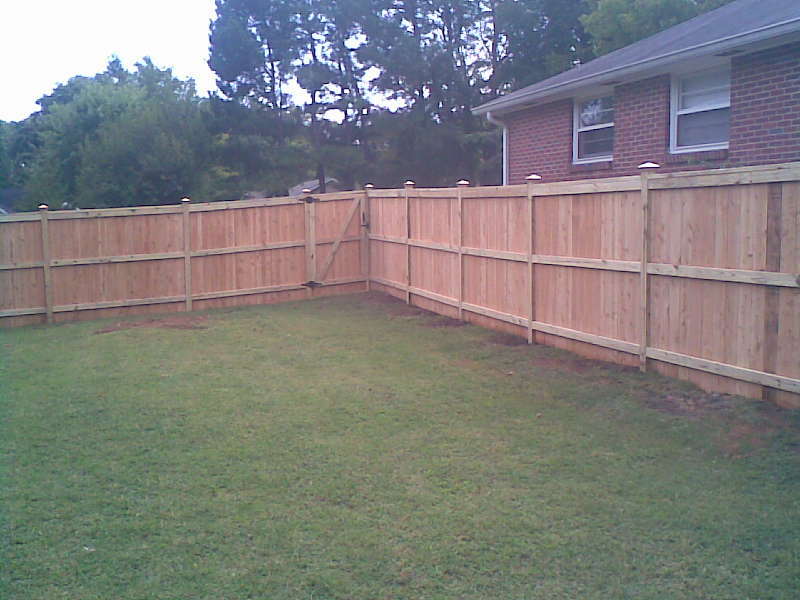 Wood fencing provides the privacy you need and the protection for your pets and family. 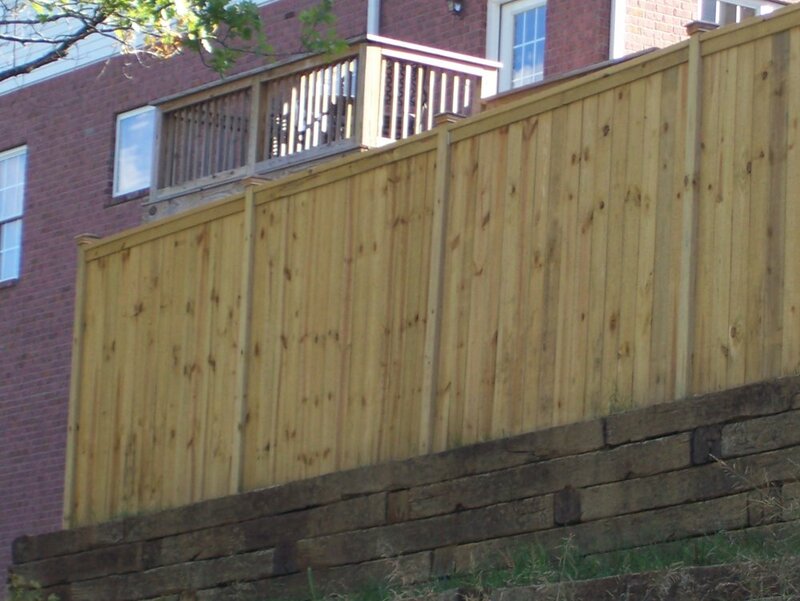 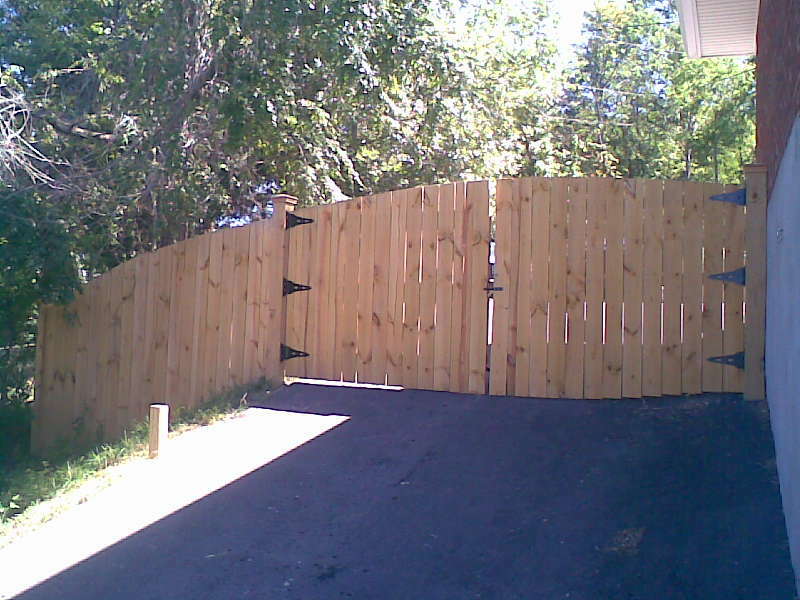 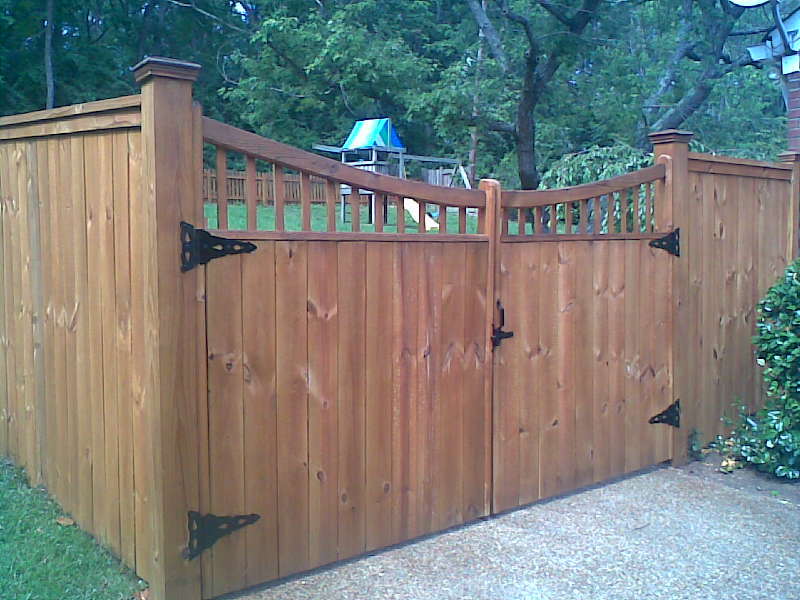 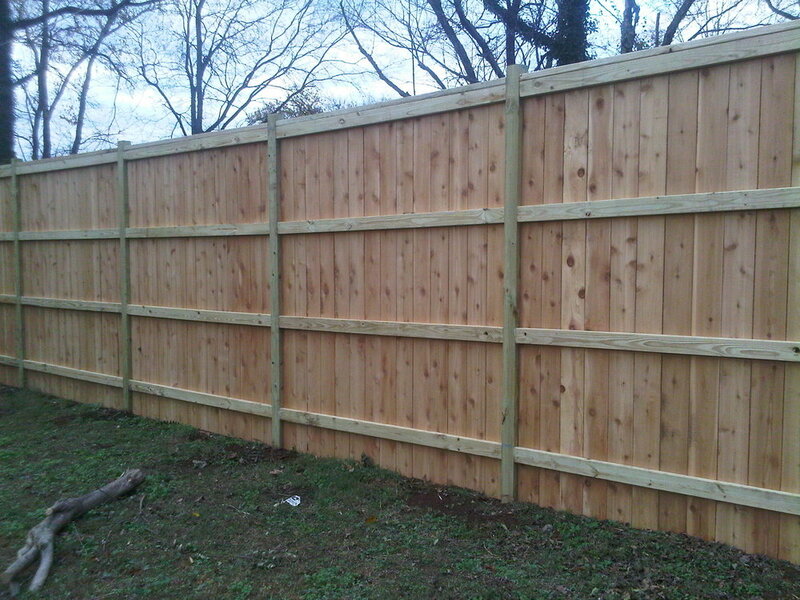 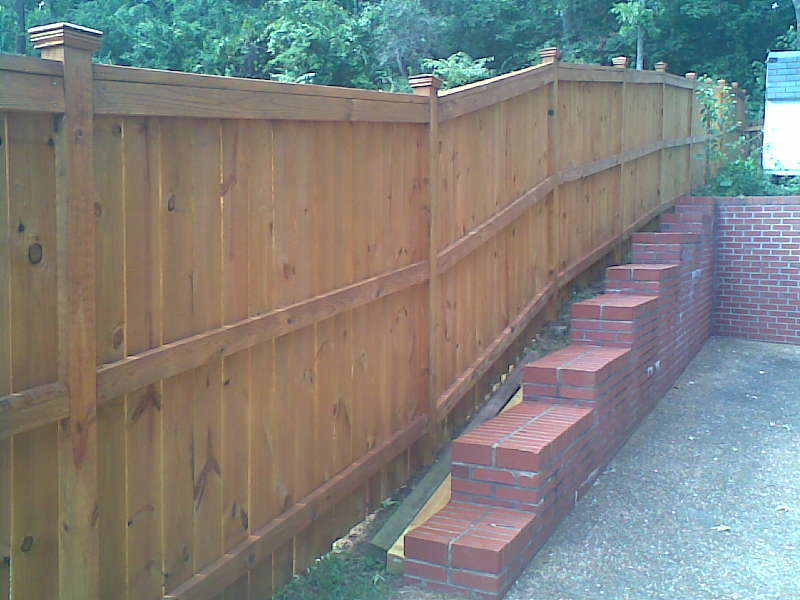 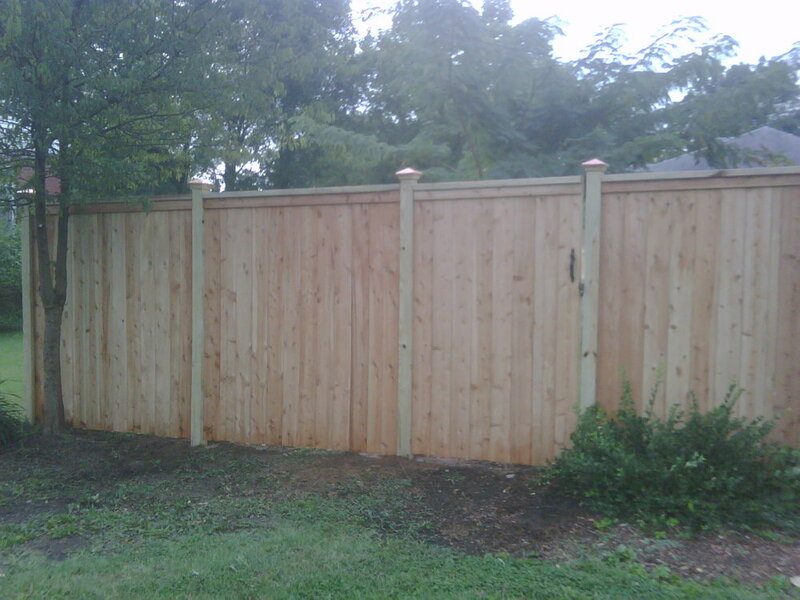 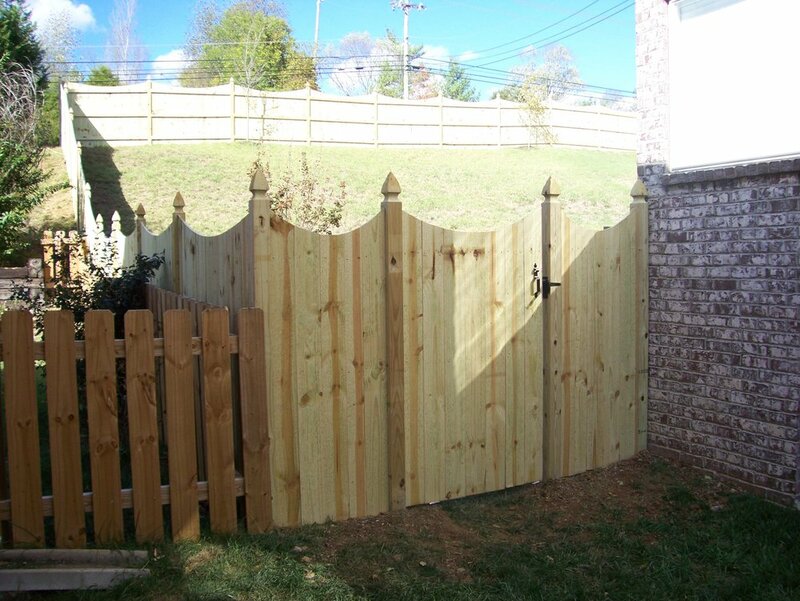 Wood is the most versatile material for building a fence and offers many styles to choose from. 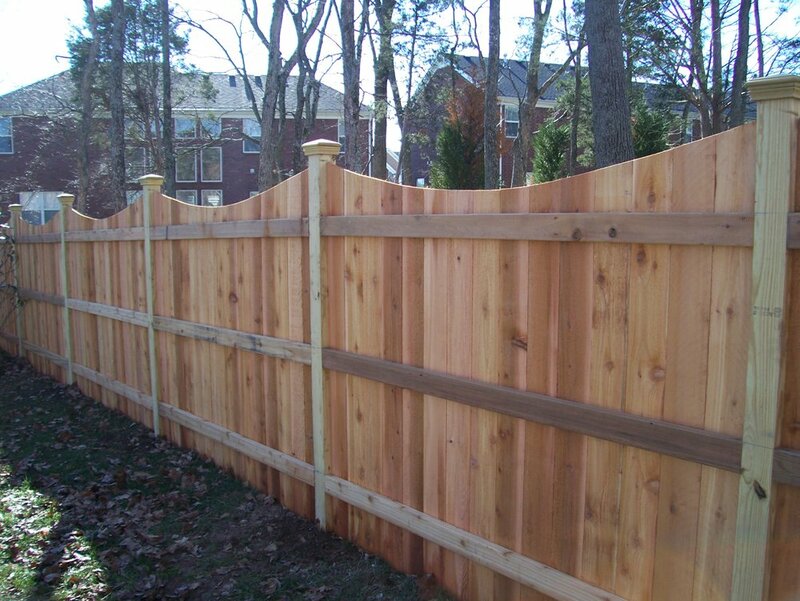 Below are some popular examples of wood fencing, however virtually any combination of each could be built. 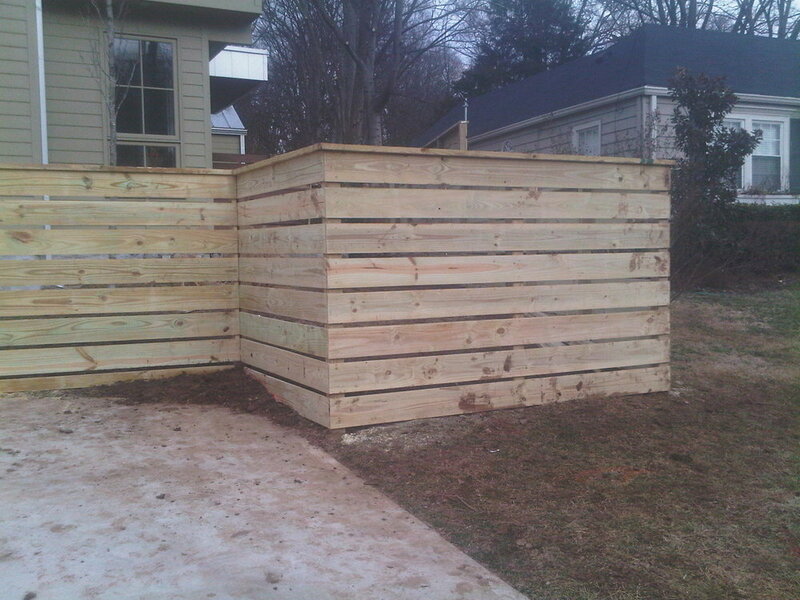 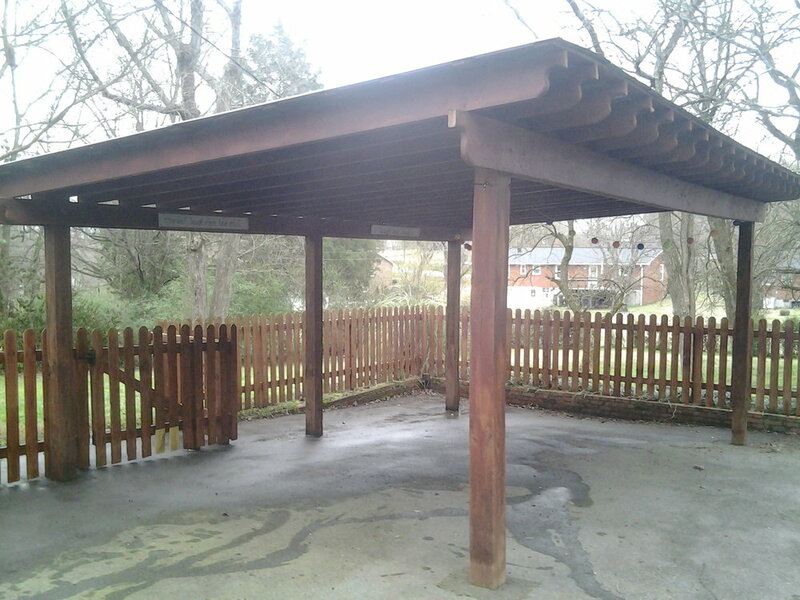 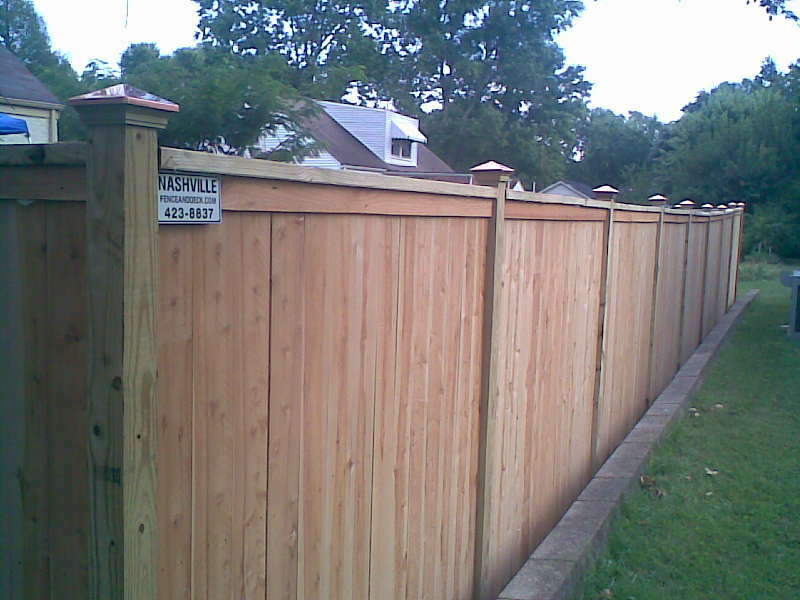 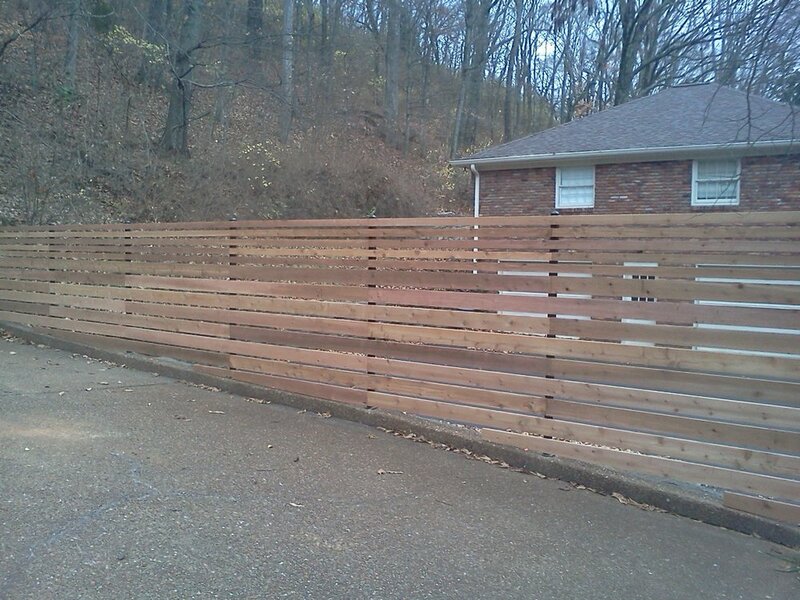 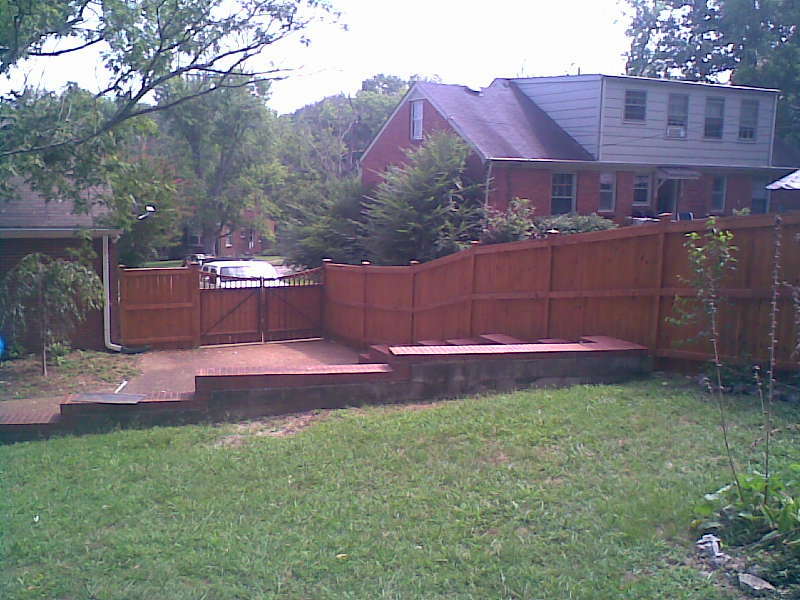 Nashville Fence and Deck would be happy to entertain any other particular style that exists or comes to mind. 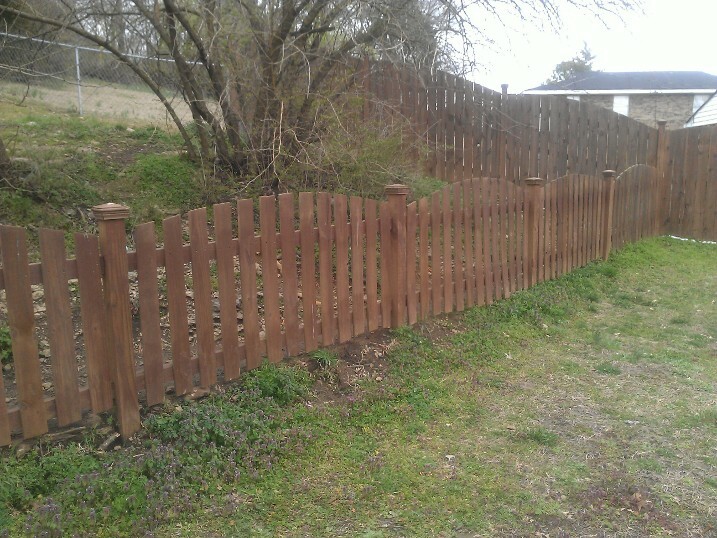 It easily accepts stains and paints, adding warmth and beauty to your property. 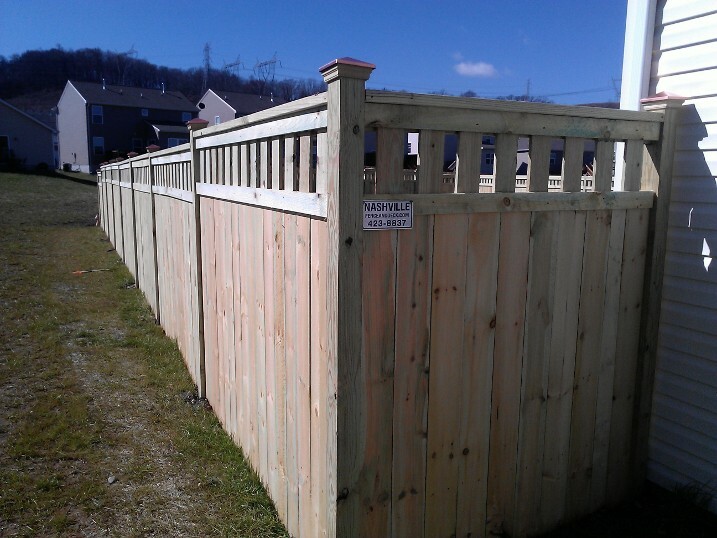 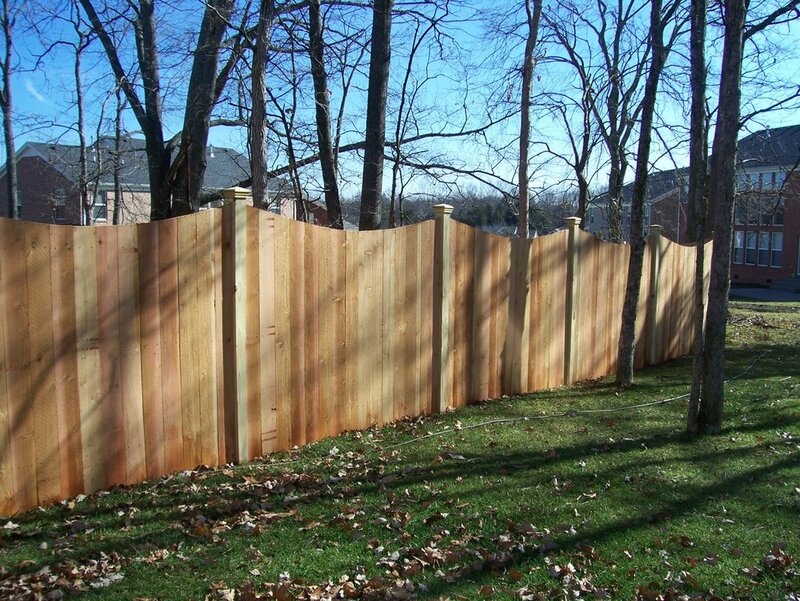 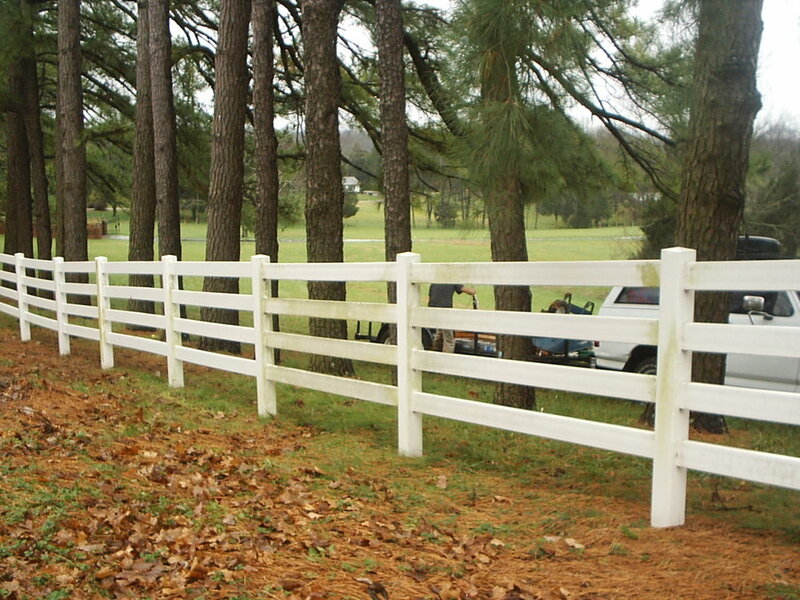 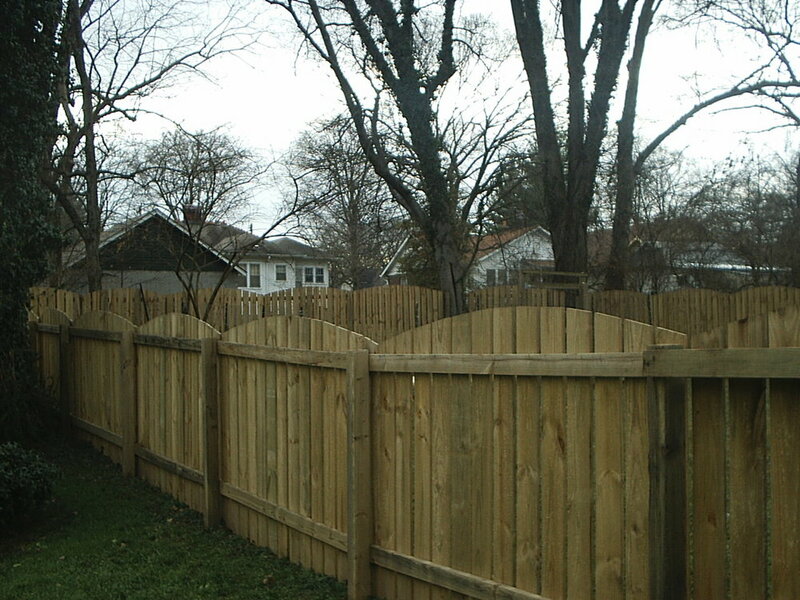 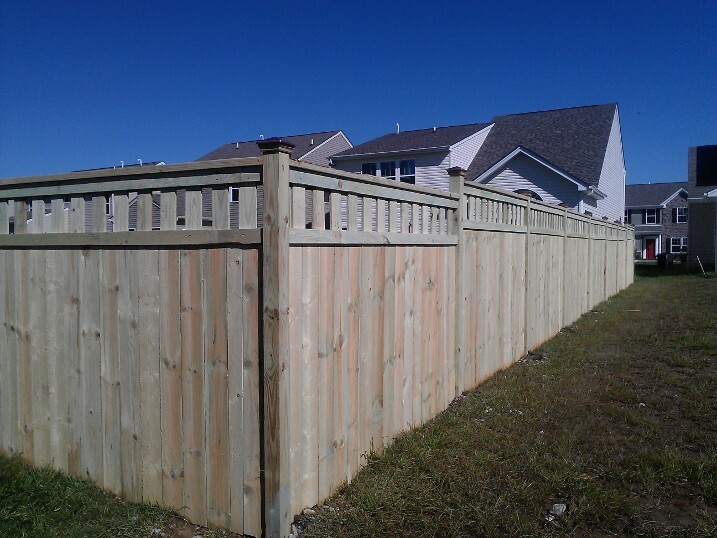 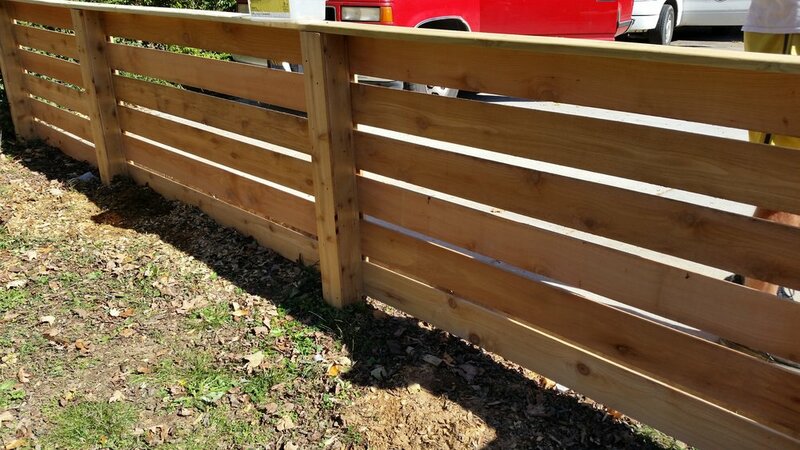 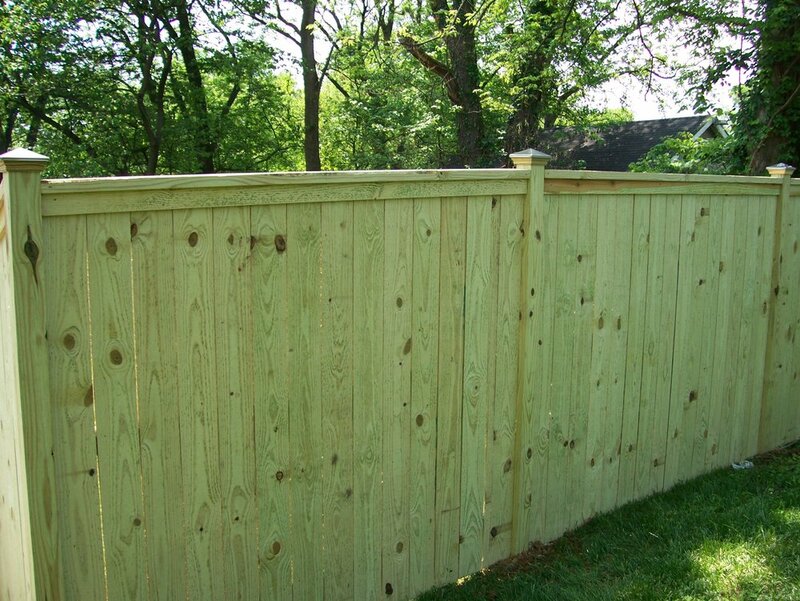 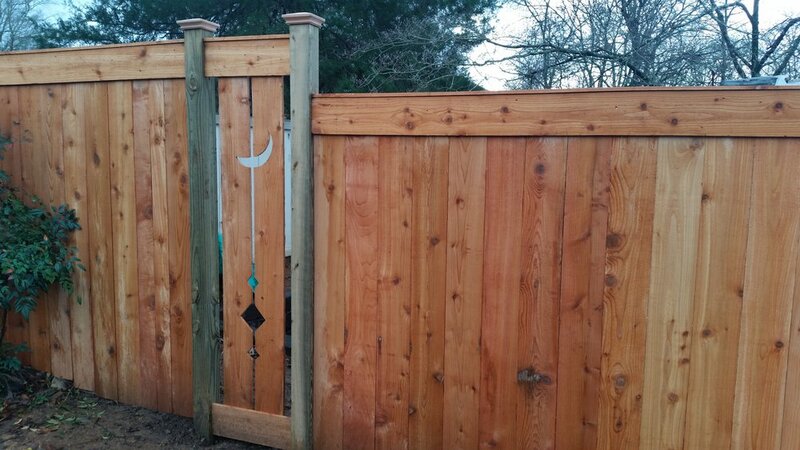 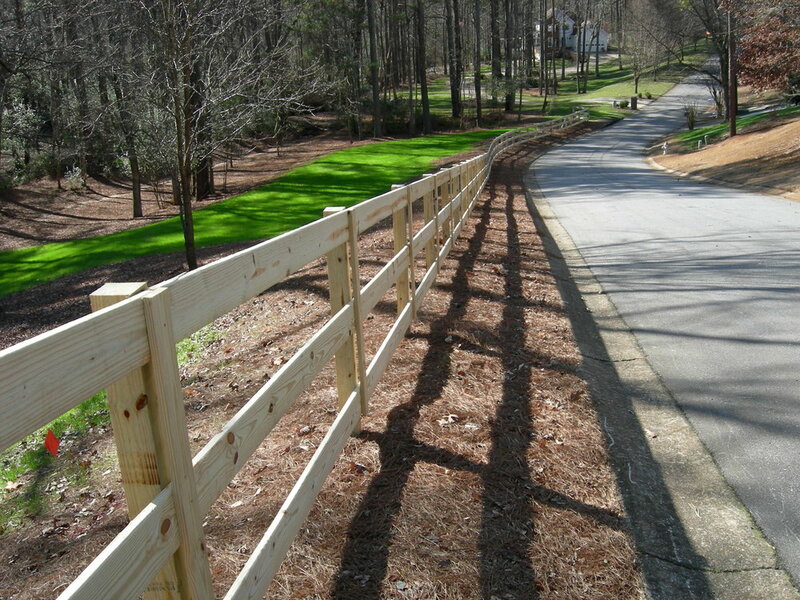 It is available in a variety of sizes and grades; wood fence systems permit unique designs to match and compliment your property. 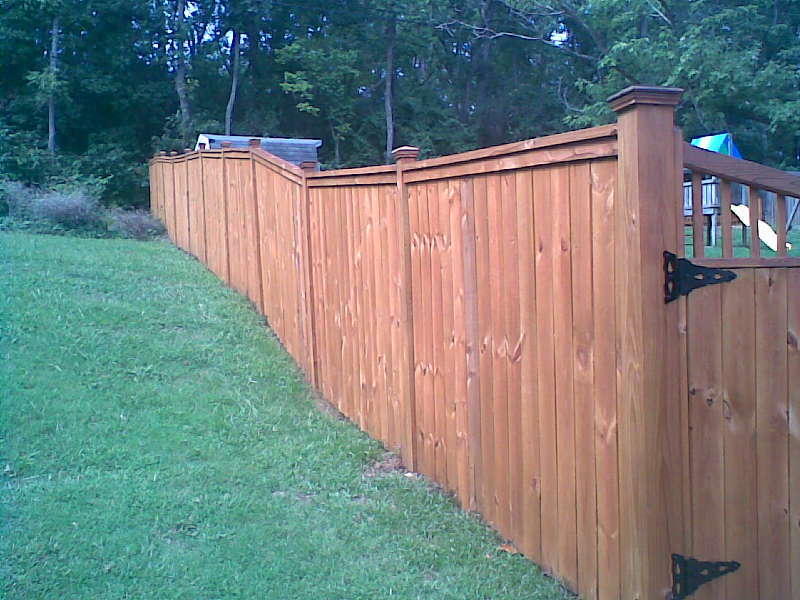 It naturally weathers, giving wood an economical advantage. 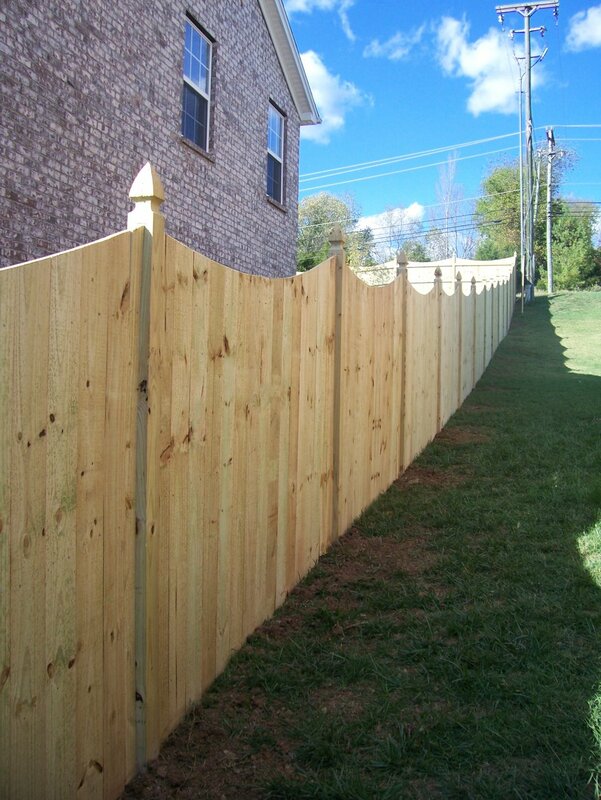 It provides security, defines boundaries, protects property, and helps control noise, wind, and sunlight. 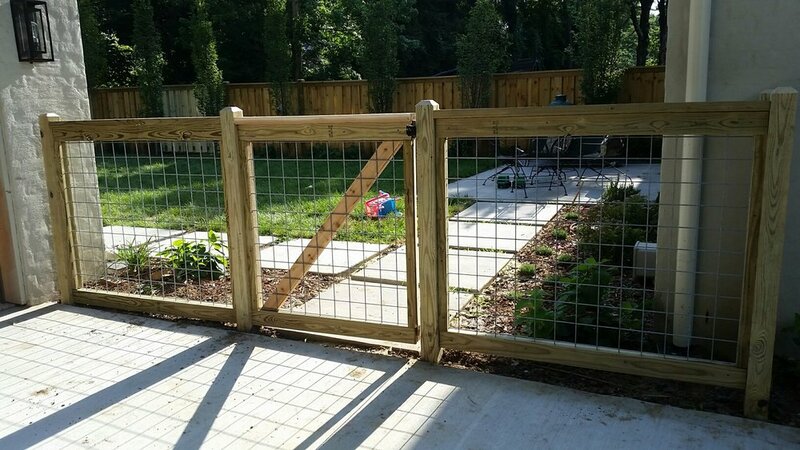 Picket fences offer pet containment, security and beauty without sacrificing visibility. 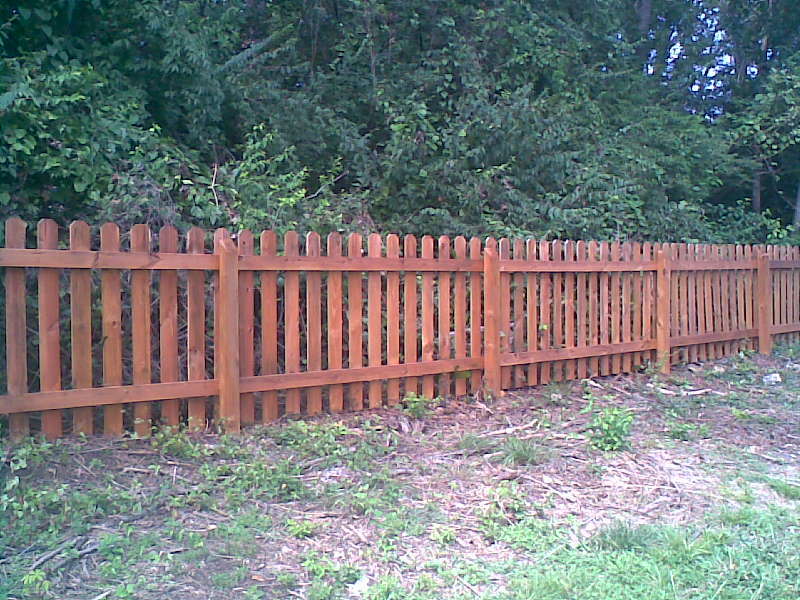 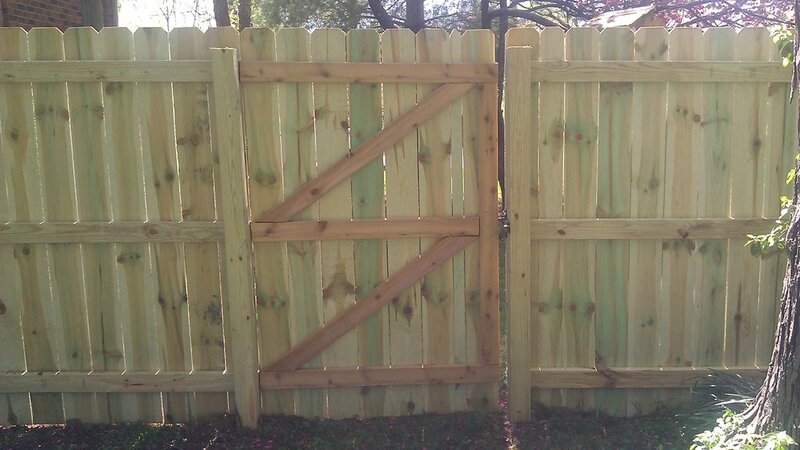 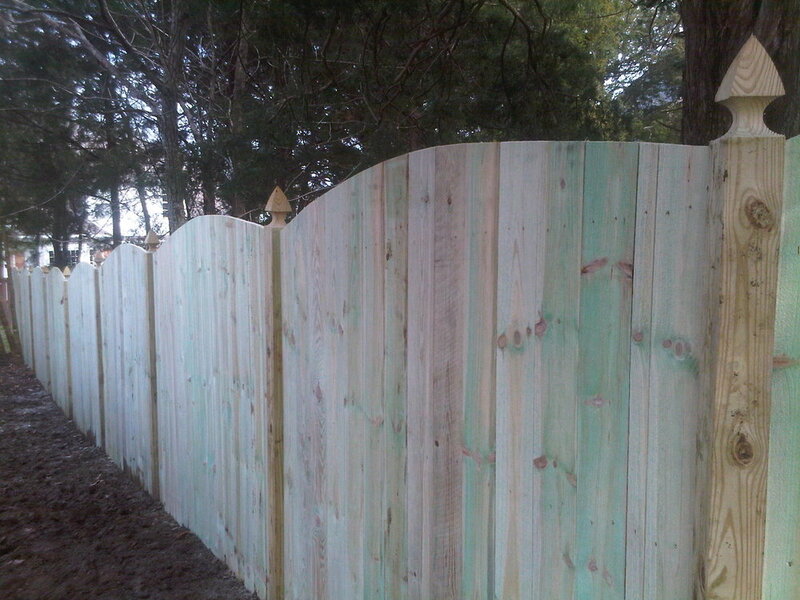 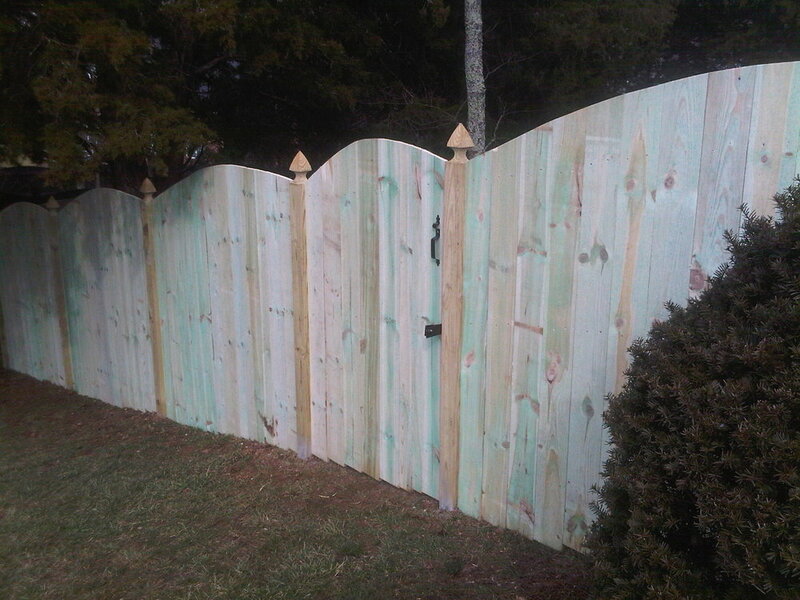 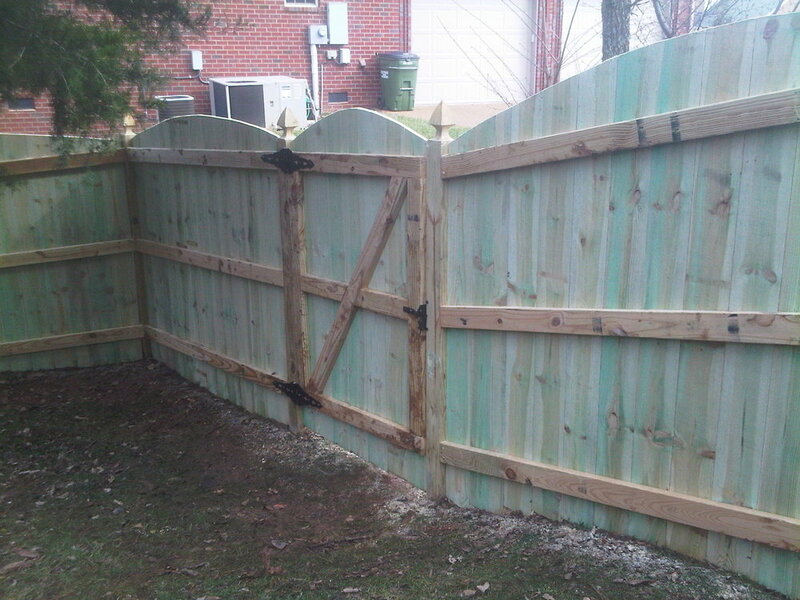 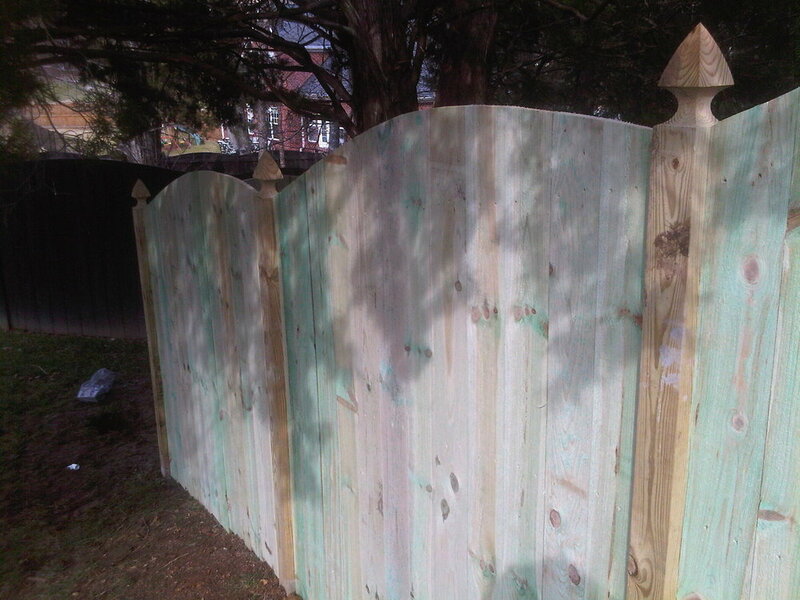 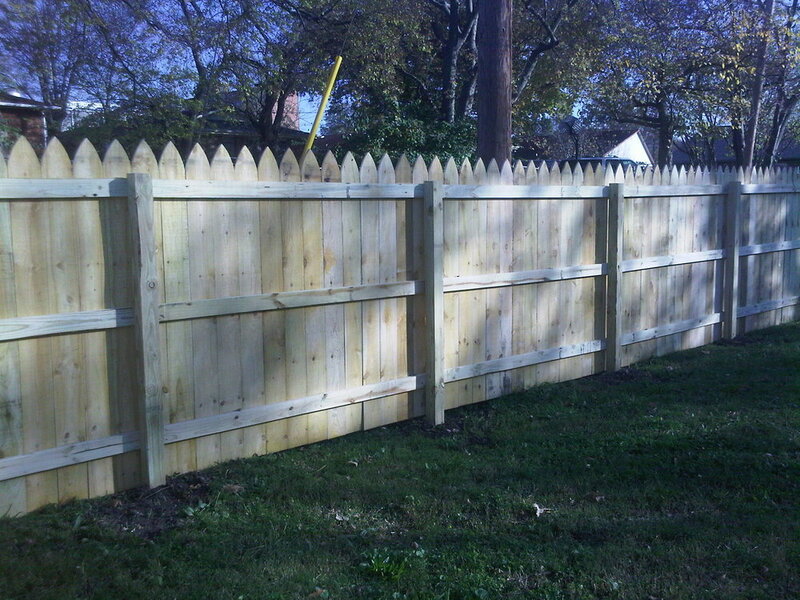 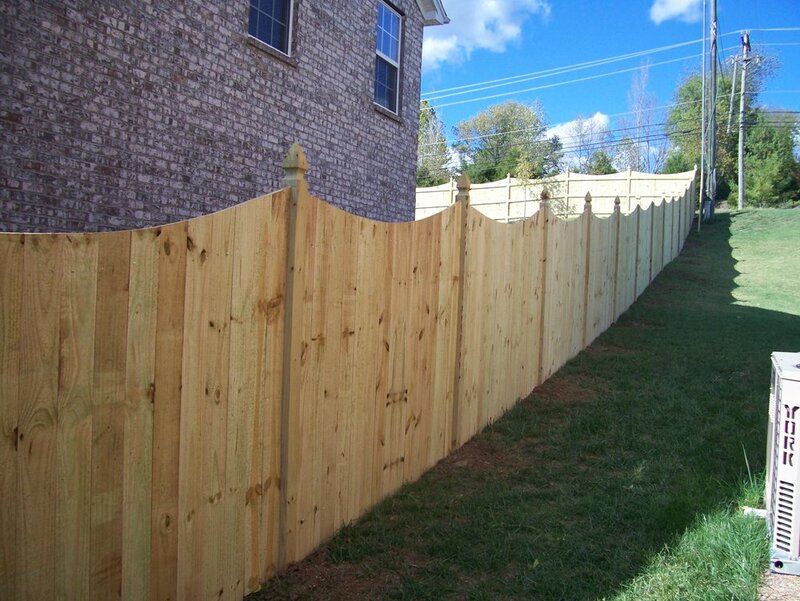 Wood picket fences are usually 4 feet tall and use a 4 inch wide picket with a 2 inch gap between pickets. 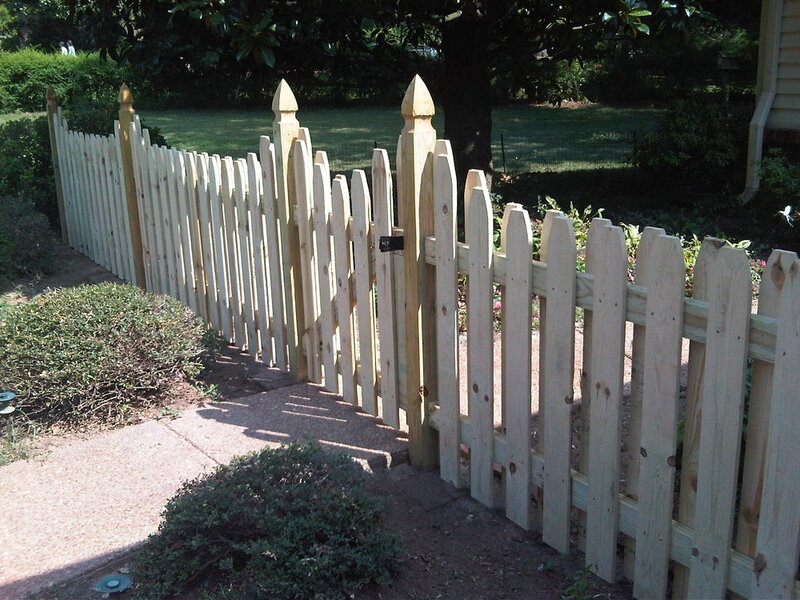 The picket width and gap can be changed depending on what style is desired. 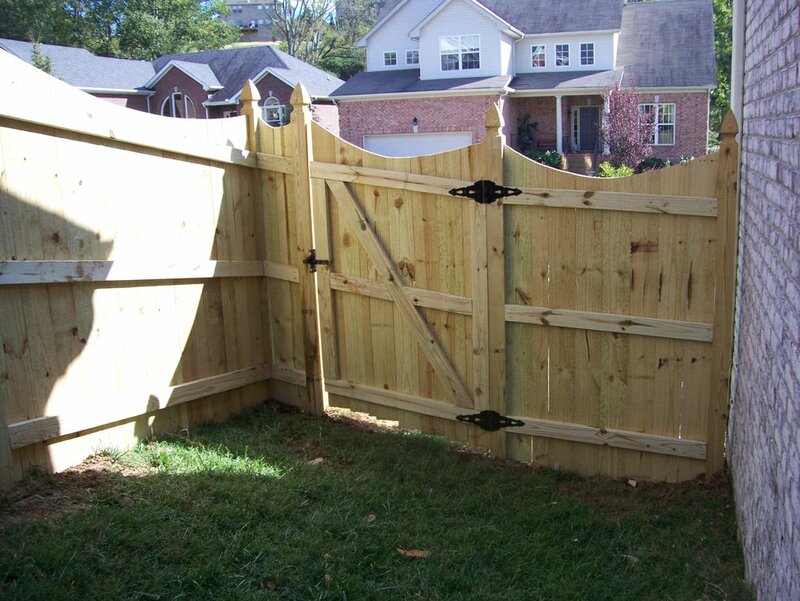 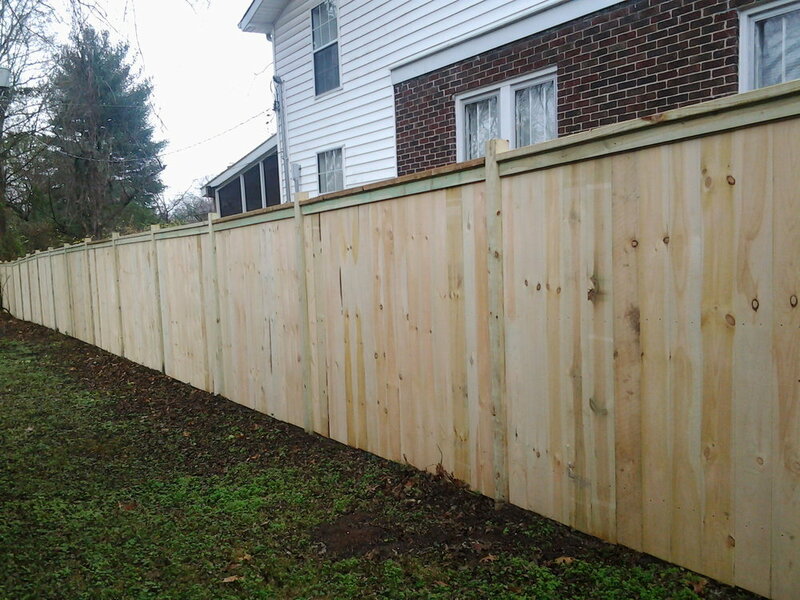 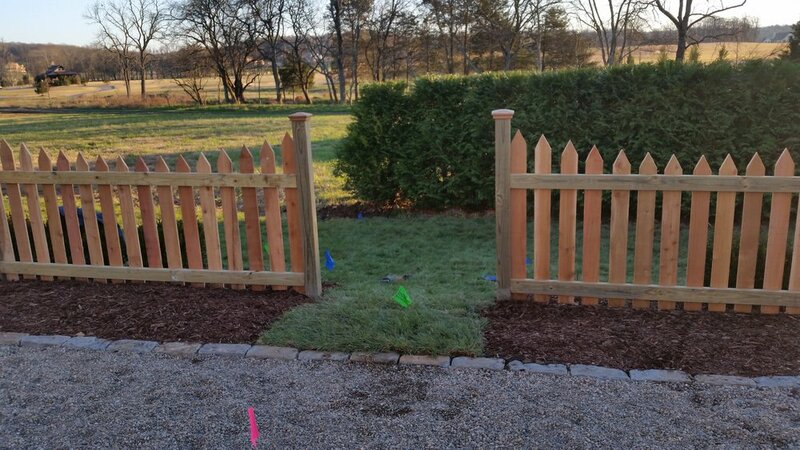 We do install picket fences in front and back yards but are more commonly placed in the front yard providing a safe area away from the street for pets and children, also eliminating unwanted foot traffic. 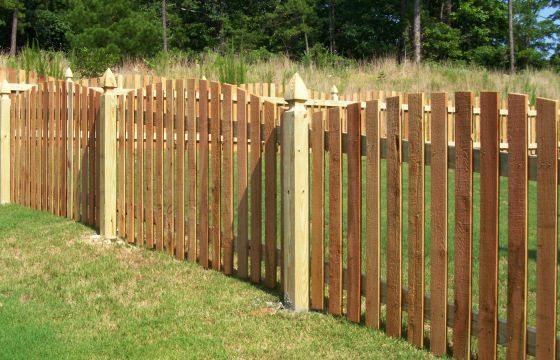 A front yard picket fence can provide a new artistic addition and dimension to the entire look of the front of your home. 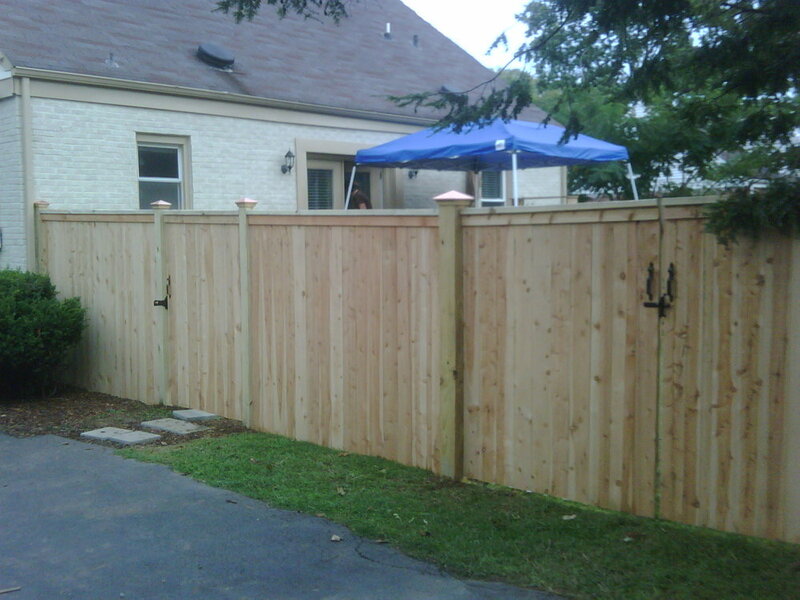 Split rail cedar fences create a rustic look while providing a barrier. 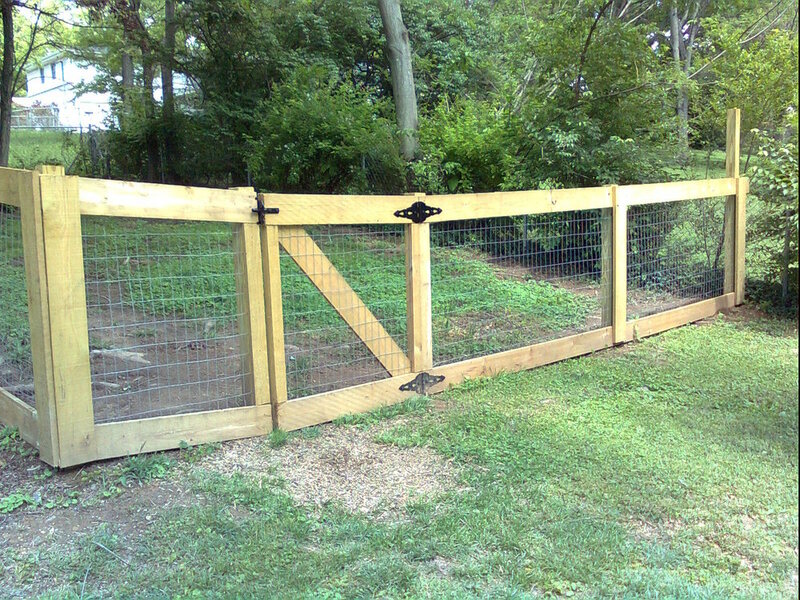 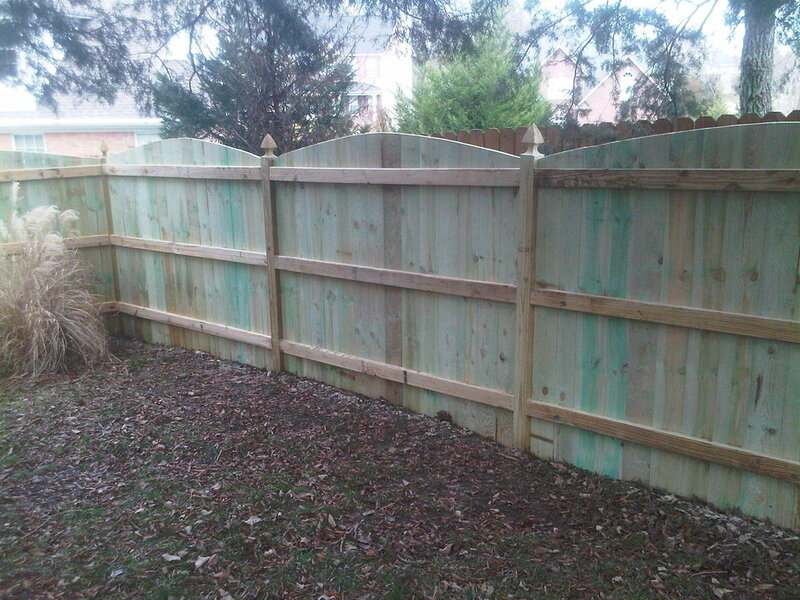 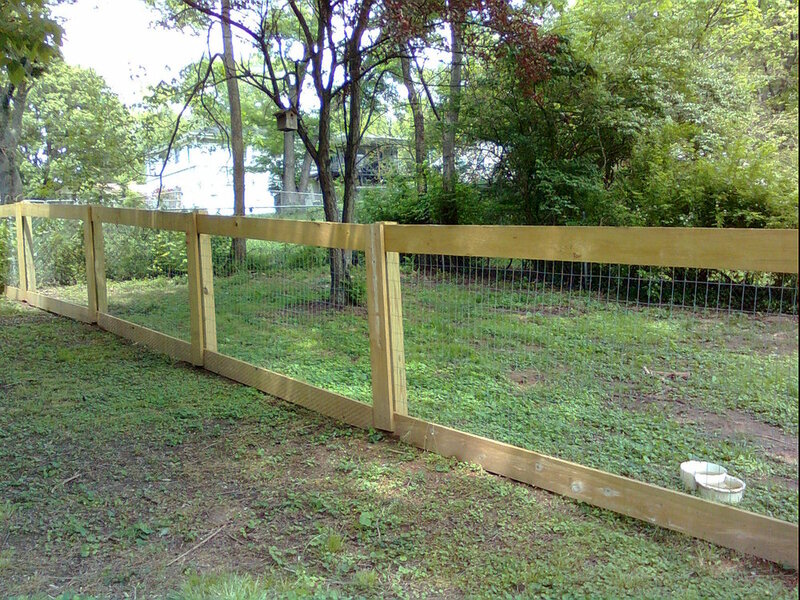 This fence is constructed using a combination of wood rail and metal fence, commonly seen at dog parks.